The World Cancer Research Fund estimates that about 20 percent of all cancers diagnosed in the U.S. are related to obesity, physical inactivity, excess alcohol consumption, and/or poor nutrition. There are many misconceptions about cancer and its link to diet, especially topics concerning preventative diets and healing foods. The registered dietitian at the Integrated Cancer Medicine Program of MemorialCare Todd Cancer Institute at Long Beach Medical Center is knowledgeable about facts regarding the role of diet for cancer prevention and during cancer treatment. Here are some of the common claims about cancer and diet and the truth. There is a link between cancer and being overweight or obese. True. Excess body fat can increase your cancer risk by causing the body to produce and circulate more estrogen and insulin, hormones that can stimulate cancer growth. A new report by the World Cancer Research Fund suggests that obesity increases humans’ risk of 12 different cancers. There are certain foods that are linked to a risk for cancer. True. A high intake of red or processed meat increases a person’s risk for cancer. Alternatively, eating plenty of fruits, vegetables and whole grains helps lower risk of cancer, as well as limiting processed foods and foods low in nutrients, such as chips. There are certain foods that “fight” cancer naturally. True to a degree. An overall well-balanced diet can help reduce your risk for cancer, or keep the body healthy during cancer treatments. Additionally, antioxidants and phytochemicals found in fruits, vegetable and whole grains, will have anti-cancer affects in the body. There are certain diets that heal or treat cancer. False. There is not enough research to demonstrate that a certain diet can heal cancer. However, diet plays a supportive role and can help patients withstand chemotherapy better. Patients undergoing cancer treatments, specifically chemotherapy, may experience nausea, vomiting, diarrhea, constipation, bloating, dysphagia (difficulty swallowing), stomatitis (inflammation of the mouth), xerostomia (dry mouth), mucositis (pain and inflammation of the mucous membranes), fatigue, loss of appetite and taste changes. Because of these side effects, malnutrition is often a concern. 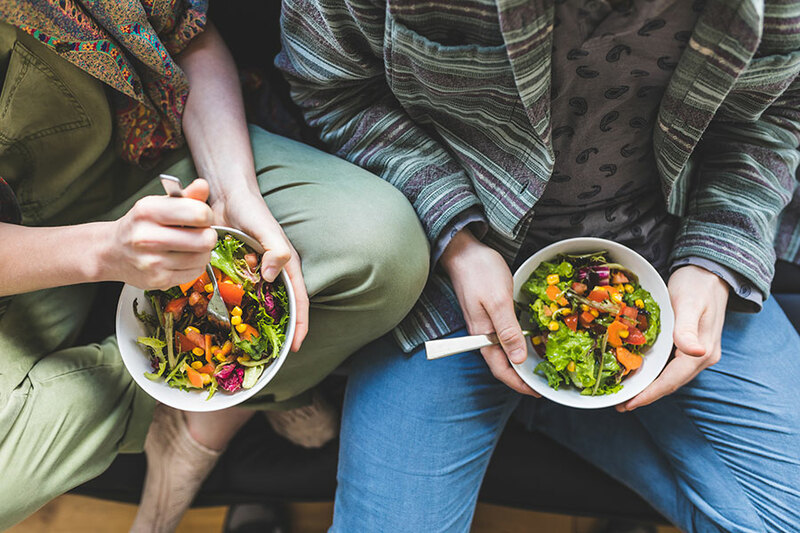 Registered dietitians play an important role in the cancer journey by offering individualized strategies to help patients maintain a healthy weight and diet based on their symptoms. To learn more about the preventative cancer care and treatments offered at the MemorialCare Todd Cancer Institute at Long Beach Medical Center, visit memorialcare.org/TCI.